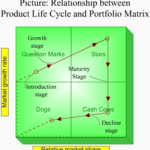 The product life cycle concept may apply to a brand [industry] or to a category of product. And the time may be for a very short period or may be for years. In the introduction stage, the product is launched with a well objective plan and keeping the corporate vision in mind. A well focused marketing effort designed to establish a market positioning and to promote maximum awareness. Therefore, starting from the ground, the sales volume goes upward with times. After passing the introduction stage, it goes to the growth stage. At this stage, organization needs to feed its entire requirement to gain market share and positioning in the market. Therefore in this stage, huge money investment requires to manage marketing mix, i.e. to manage the product, price, distribution, promotion and people. All these efforts ensure to be the leader of the market and sustain that place. Maturity stage is the peak hour of the revenue. Because, at this stage, investment cost goes down than the growth stage, and sales volume goes at the maximum level. Therefore the corporation enjoys the highest ROI [Return on investment]. And as competition goes at the maximum level, the price of the product goes down and the end-user / consumers enjoy the benefit of the competition. Brand image play a heavy roll at this stage. Then it comes time of Decline stage. Eventually many alternatives take place and slowly sales goes down. The product becomes out of date or technologically obsolete. Product may be manage to sustain for few longer by adding new features, changing test, etc. but at the end, it have to gone away.